The Iron Phoenix is here! The Iron Phoenix, my fantasy/superhero/lesbian romance novel, comes out today from Bold Strokes Books. Order it here. New website and The Iron Phoenix available for preorder! It's been pretty silent on here, mostly because I'm been finishing up Book One, working on Book Two, and building my website. Now, this is back to just a blog, and all the information is at www.rebeccaharwell.com. More news! 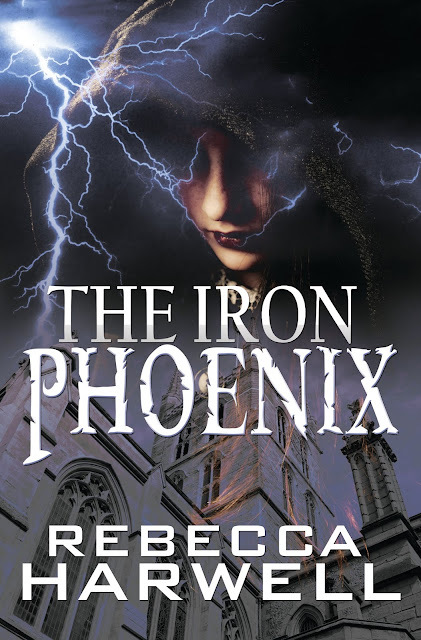 The Iron Phoenix is available for preorder! You can find it here on the BSB webstore. I am so excited to announce that The Iron Phoenix will be published by Bold Strokes Books in May 2016. It's the first book in a YA fantasy trilogy that combines high fantasy, superhero stories, and coming-of-age lesbian romance. Bold Strokes Books is an excellent LGBT publisher that puts out wonderful books, and I am very happy to be working with them. I'll post updates here as they come, but for now enjoy the beautiful cover and blurb. Here's a lovely review of Kisses by Clockwork, a steampunk romance anthology that includes my short story "Love in the Time of Clockwork Horses." The last part has already proven difficult, but I've stuck to it. See, I love book buying, even when my wallet tells me no. So I'm taking this year to build my library by getting titles that I've already read but really want to own. And also a lot of DVDs and CDs. After 8 years with a massive TBR pile, I am ready to finally get through it. Wish me luck! Hello! I am back after a hectic week and a half of moving, unpacking, getting my apartment furnished, and attempting to navigate a new city. I am now officially living in Bloomington. Grad school starts in a couple weeks. Until then, I hope to get a lot of reading and writing done, as well as get to know this city. This month I have a short story out in Refractions Vol. 2, a YA literary magazine from Golden Fleece Press. My story is called "The Space Between Stars." I did not win Camp NaNoWriMo. Unfortunately, moving got in the way of a lot of my writing time. However, I did finish out the month with 30,000 words, about half of my first draft. I should be able to finish it up by the end of September. Congrats to all those who finished! 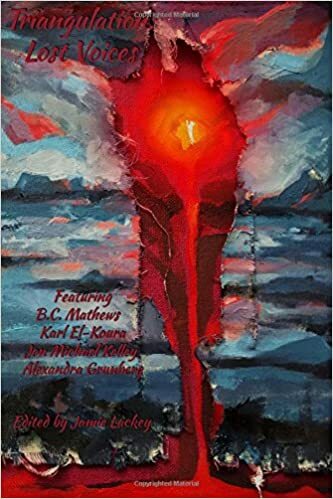 Triangulation: Lost Voices anthology now available! The Triangulation: Lost Voices anthology is now available from Parsec Ink! My short story "The Bear-Woman of the North" is included in the anthology. It's a magical realism tale with a bit of steampunk flavor about a bear who is turned into a woman. Pick it up from Amazon and other booksellers. After nearly a week of sluggish writing, I finally got a decent word count today. It looks like we're moving forward. Part of the issue has been laziness (of course), focusing on packing and getting ready to move, and a lack of direction in the story. It's not that I didn't know where it was going; I just wasn't "feeling" the story. It felt slow and boring. I think this is because a major confrontation did not happen until today, around page 60. In revision, I'm definitely going to move it up. Now, there's a new player in the story, one who can challenge my MC and create a lot of inner conflict. Another problem I'm having with the story is that the main plot doesn't seem to have started yet. The major character conflict is all there, but my main villain hasn't shown up yet, and I'm at the one-third mark for word count. It's another thing I'll need to shift around during revision. I think what's been happening is that I know one of my tendencies is to move too fast in rough drafts, not taking enough time for character development and establishing the conflict, things I always add in revision. In this draft, I'm over-compensating by moving too slowly. Hopefully, now it'll speed up. This just goes to show that no two books are written the same way. Some draft easily, revise hard. Some do the opposite, and some do both. In her hands she held dual blades, but not weapons that had been forged in any mortal smithy. They shimmered, brilliant white, moving as if a river of light had lost itself in a sword’s shape. In addition to writing, much packing happened today. I move exactly three weeks from tomorrow, and the thought of it is both exhilarating and terrifying. For the first time, I am actually moving. Not just going away to college for the semester, but leaving. Taking all my stuff and putting it in a new home. In packing, I've arrived at the conclusion that I have a lot of books. Not too many; there is no such figure. But my library is in the couple hundreds--I haven't counted. And my to-be-read shelf is nearing sixty, and I just keep buying more. I also find it difficult to get rid of books. I only managed to take a dozen or so off the shelves for donation. There's still so much to do, but I finally feel like I've got a handle on it all. I'm hoping I will be able to finish this manuscript before July 31st so that when it comes time to actually move and unpack and get settled, I won't be worrying about a daily word count. I guess we'll see! Here, control did not matter. The wind and the air and the stars could take anything she threw at the them.